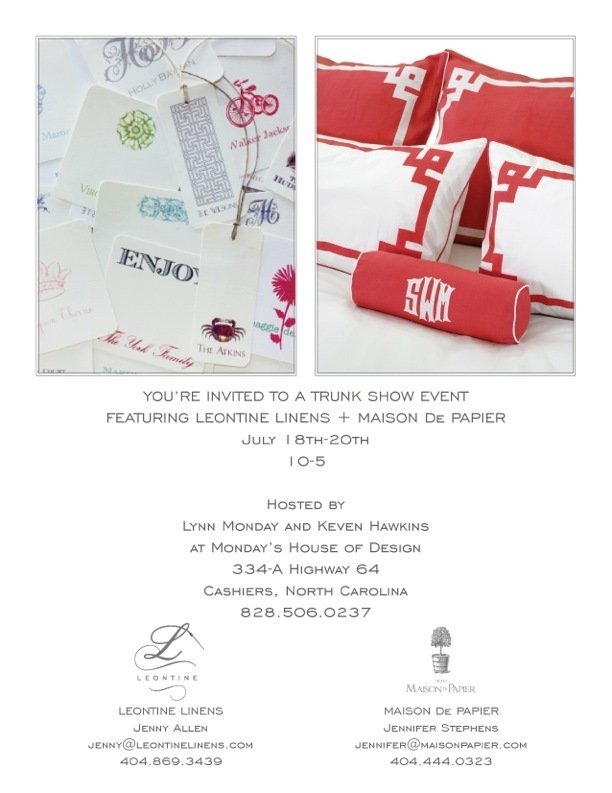 The Leontine Linens Trunk Show Event scheduled for this weekend at Keven Hawkins’ new store, Keven Hawkins Mountain Living, has been moved to Monday’s House of Design (Lynn Monday’s store) located at 334-A Hwy 64 (across from Bounds Cave rug store). Hope to see you there. For more details, see the invitation pictured below. I love Leontine Linens! I wish I could be there! would want to…HaHa). You certainly put a new spin on a subject which has been written about for years.